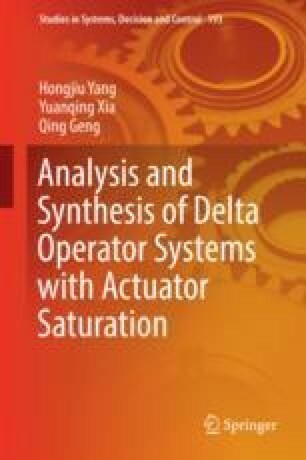 Estimation of the DoA is a key of control systems with actuator saturation which is applicable to various literatures [2, 26]. Ellipsoids are usually used as a shape of the DoA [93, 145]. Researches on the DoA have been given for uncertain polynomial continuous-time systems in . Analytical approximation of a maximal invariant ellipsoid has been discussed for discrete-time systems with bounded controls . The DoA has been given for linear time-invariant systems subject to disturbances and state constraints . Monotonicity of a maximal invariant ellipsoid has been analyzed for a linear system with actuator saturation .